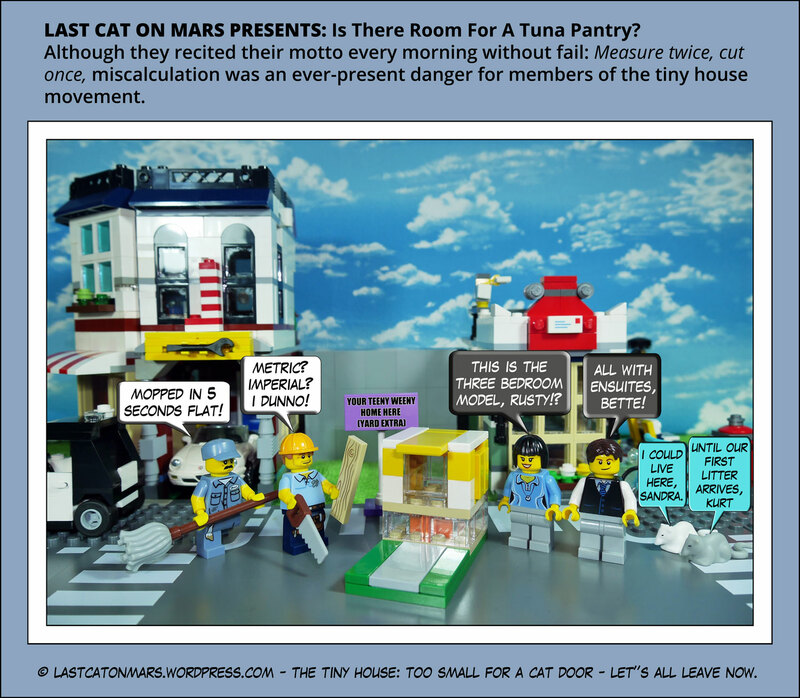 Last Cat On Mars Presents: Is There Room For A Tuna Pantry? 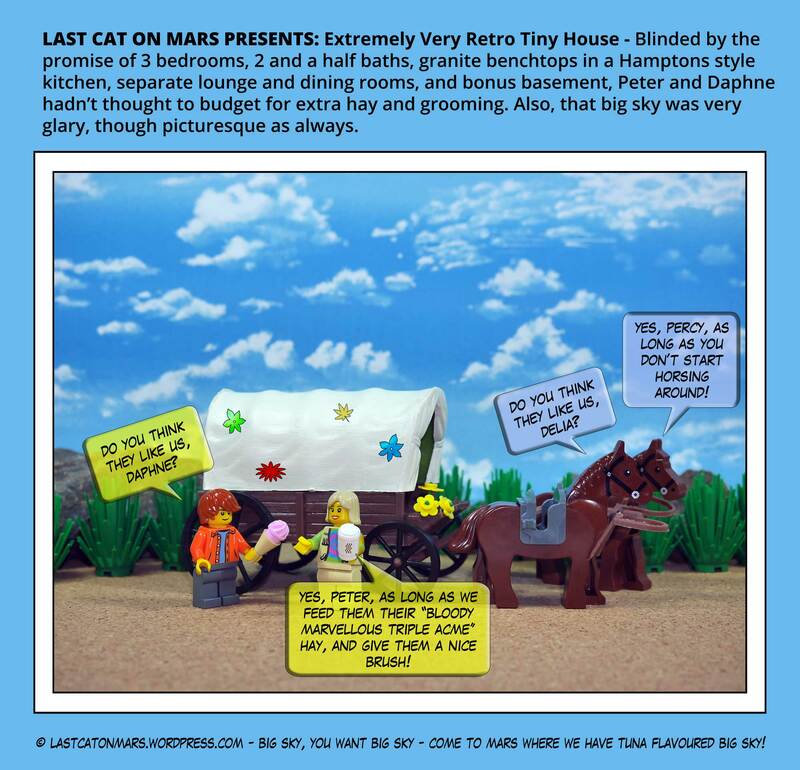 I once lived in a tiny house – turned out it was a cardboard box my loving Earthling servants had saved from their latest Amazon delivery for my amusement. It had everything a feline could need: matching scratchworthy sofa, bed, and sofabed; climbing curtains in ancient, priceless Oriental silk, and a constant supply of tuna bites. 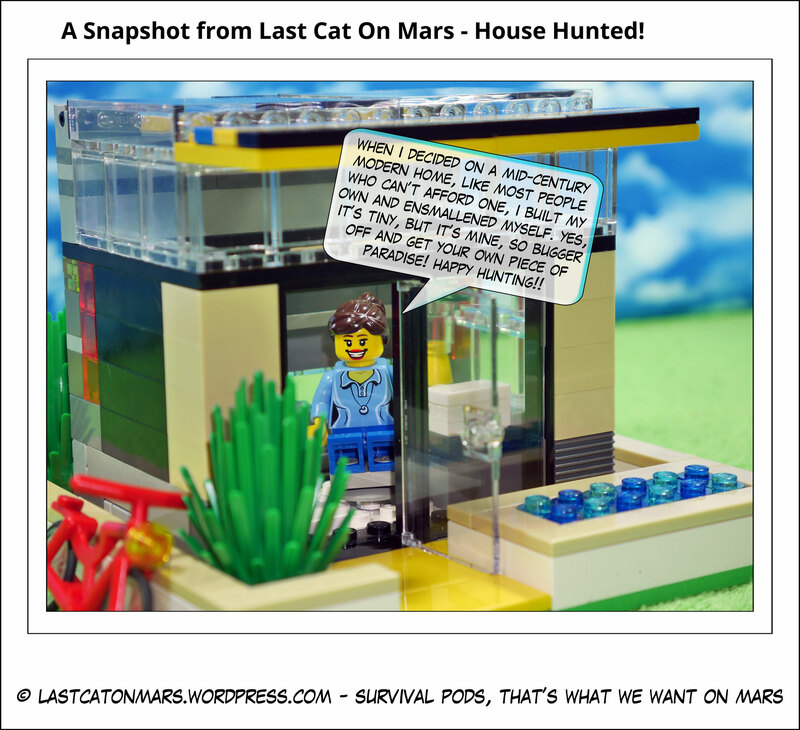 Alas, the Martian atmosphere played havoc with its recyclable doors and walls, and now my tiny house has renewed itself as a rustic red welcome mat at the entrance flap to my far more palatial Mars Manor where the tuna constantly bites. 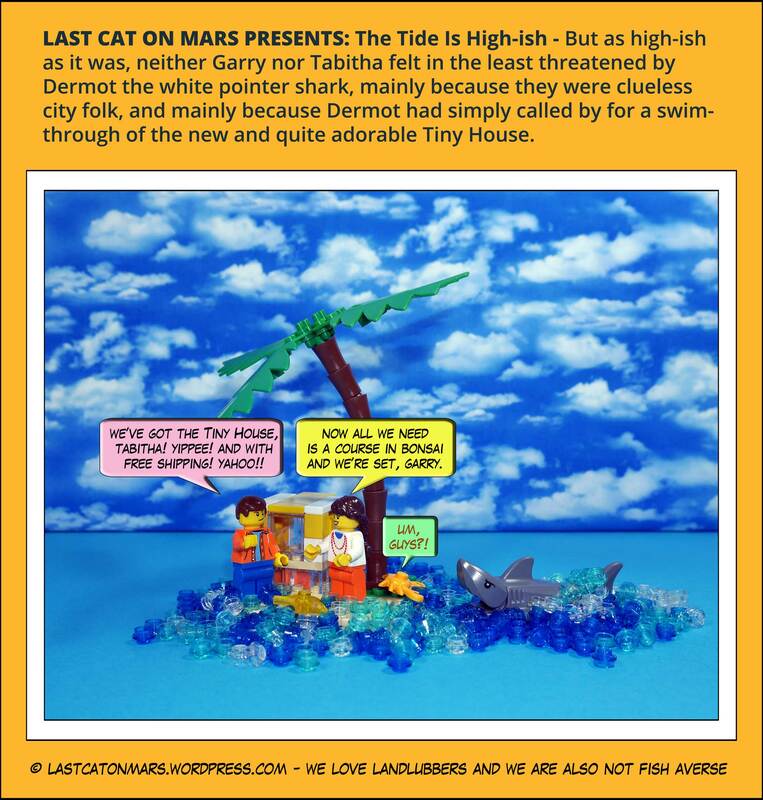 This entry was posted in Literary and Literal, Variety Show and tagged builder, cartoon, cleaner, comic, lego, minifigures, rats, tiny house on December 6, 2016 by Jay Verney.